> in WebSite-Watcher. Can this be addressed in WSW? 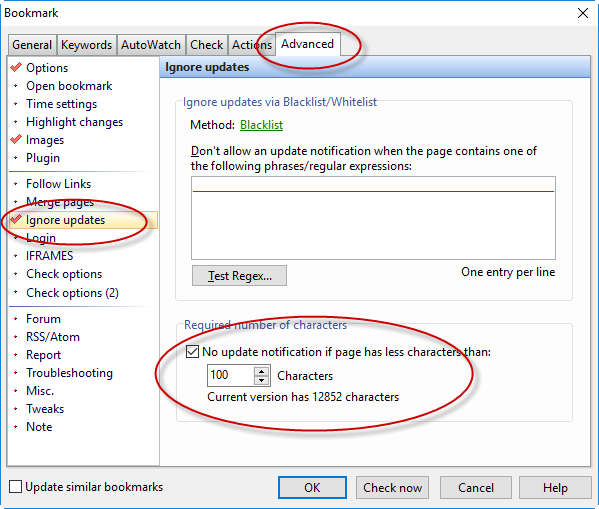 WebSite-Watcher can suppress update notifications when the length of the text content is less than a specified number of characters.